The borough of Edgewater, New Jersey, is a great place to live and raise a family. After all, with places such as Veteran’s Field, Borough Hall, and the Hudson River Waterfront Walkway, you have a bevy of places to go for a day out with the family! If you reside in this beautiful borough, then you need to have a home that is every bit as beautiful and alluring as it. And a great way to get your home that beautiful and that alluring is to have quality marble tile installed therein. And for that purpose, you can’t go wrong with Edgewater’s marble and tile experts at Kennedy Tile & Marble Inc. Offering many great tile materials and even custom fabrication services, our tile and marble professionals can get your home looking every bit as beautiful as you need where tile is involved! MARBLE TILE IN EDGEWATER, NJ. If you are looking for tile that will be both durable and beautiful, then you can’t go wrong with marble. Of course, to enjoy ALL of marble’s aesthetic and practical benefits, you need to call on the pros at Kennedy Tile & Marble Inc. to get supplied with top-quality marble. We at Kennedy Tile & Marble Inc. have provided residents and business owners with quality marble for their tile and countertop purposes for over three decades now. Our experience combined with our dedication to quality customer service ensures that, with Kennedy Tile & Marble Inc., you’ll get only the best marble for all of your home- and business-improvement needs! 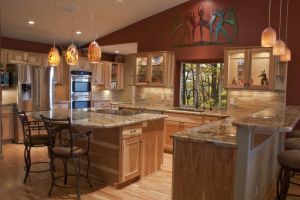 Stone is one of the most durable and longest-lasting materials for many different purposes around your home: shower tile, flooring, countertops, etc. Of course, stone doesn’t naturally develop in a way that is particularly useful for ANY of those purposes. No, indeed, to MAKE them useful for those purposes, you need to have them fabricated — or cut — by an expert. And in Edgewater, that expert should be none other than Kennedy Tile & Marble Inc. We at Kennedy Tile & Marble Inc. dedicate ourselves to providing the most precise stone fabrications at the best price — and we have for over three DECADES now, meaning you can rely on us to provide you with quality service! If you need a professional tile and marble expert in Edgewater, then please call Kennedy Tile & Marble Inc. at (201) 798-8666.